The ‘City of Caves’ on an island in the Sea of Oman close to Bombay. 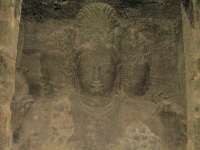 The Elephanta Caves are located in Western India on Elephanta Island through two hillocks separated by a narrow valley. The sculpture represents aspects Lord Shiva – the Creator, the Preserver, and the Destroyer. The caves are worthy for their forms, dimensions, themes, representations, content, alignment and execution. All the archaeological components in the Elephanta Caves are preserved in their natural surroundings. The authenticity of caves has been well maintained due to its inscription on the World Heritage List. Despite certain repairs on the façade and pillars that have been carried out to ensure the structural stability of the monument. The Elephanta Caves dated from as early as the 2nd century BC. 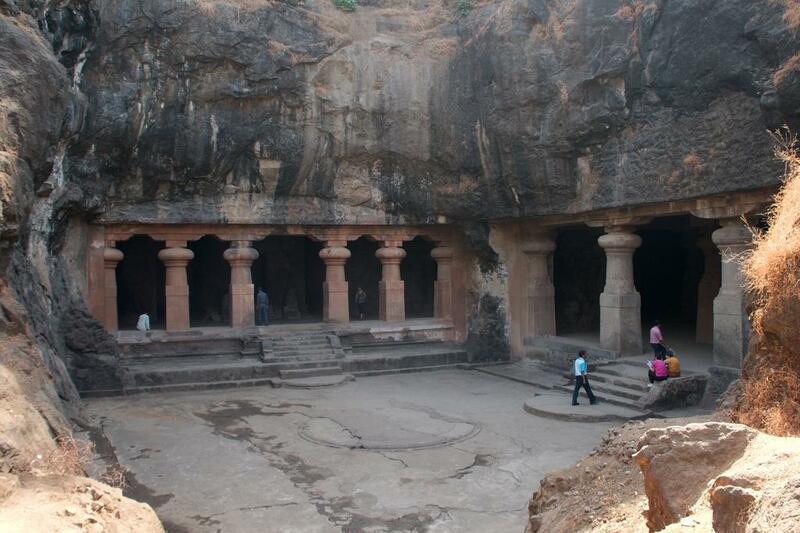 The rock-cut Elephanta Caves were constructed in the mid-5th to 6th centuries AD. The main caves is the great Cave 1 of 39 metres from the front entrance to the back. 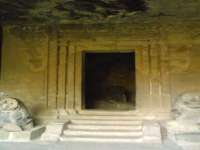 This cave in the western hill resembles Dumar Lena cave at Ellora. The main structure of the cave excluding the porticos on the three open sides and the back aisle is 27 metres square and is supported by rows of six columns each. The 7-metre-high “Sadashiva” to the entrance to Cave 1. 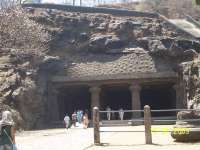 The layout of the caves has the pillar components, the placement and division of the caves into different parts and the Garbhagriha of sarvatobhadra plan are specific in rock-cut architecture. The Elephanta Caves has an artistic tradition and refreshing innovation. 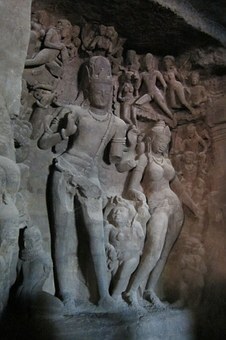 The blend of aesthetic beauty and sculptural art, replete with respondent Rasas, reached an apogee at the Elephanta Caves. 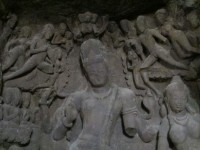 Hindu spiritualistic beliefs and symbology are inclusion in the overall planning of the caves. we were really hoping to visit these our last trip to Bombay but time constrains prevented us from doing so.. next time around hopefully.